So, the world is all a-buzz as Ms. Teyona Anderson won America’s Next Top Model last night (or like 4 months ago, you know how ‘reality’ tv is). Anyway, FABGIRL Sabrina and I wanted Aminat to win – that girl’s body was SICK!! But in the end everyone knew Teyona would get the crown, because she was most consistent in her pictures. You can go to www.cwtv.com to view her portfolio. 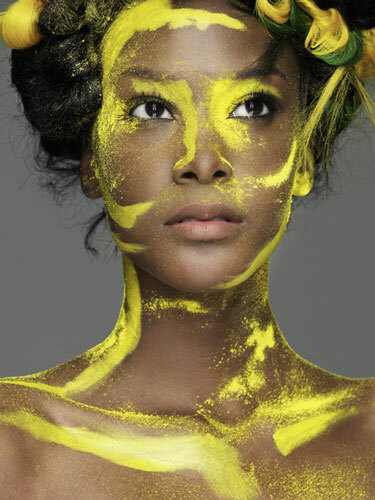 The pic below is Teyona’s first photo for America’s Next Top Model, I forgot how naturally beautiful the girl was because Tyra put the HORRIFIC weave in her head. I’m sure she will get that changed in the next couple of weeks. I think she’ll make it pretty far in the industry. If you watched the show, you see she has a great personality and takes direction well – all good for modeling. Anyway, congratz Teyona! You deserve it.